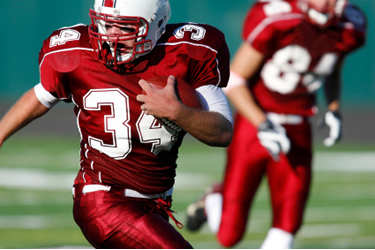 Each year in the United States, there are more than 300,000 sports related concussions. It is the most common type of head injury for those who participate in sports. According to statistics, the athletes who experience the highest rate of concussions are football players, hockey player, boxers, rugby players and snow skiers. A concussion can cause impairment with such things as concentration, memory, problem solving and behavior. It can also lead to frequent headaches, dizziness, sensitivity to light and problems with balance. Athletes at all levels understand there is always a rick of sustaining injury while participating in their sport. They also know how important it is to have safe and effective ways to prevent and recover from injuries so they can continue to take part in the sport. At Keystone Spinal Care, Dr. Tim has been helping patients with concussions for over 10 years. Our upper cervical specific chiropractic care and whole food supplements have been shown to be effective with helping athletes recover from a concussion. Please contact us by calling (724) 216-9000. A concussion is a from of a traumatic brain injury caused by a blow to body that shakes the brain inside the skull. The brain is protected by fluid that normally prevents it from hitting the side of the skull and suffer injury. The signs and symptoms of a concussion are not always obvious. A person does not have to pass out or loss consciousness. The severity of a concussion can also vary widely and the effects may last from as little as a few hours to as much as several months. Football has the highest incidence of concussions. There are more than 250,000 concussions reported annually with football players. Football related concussions have received a lot of attention recently with rule changes and other actions being taken at all levels of football all the way up to the National Football League (NFL). Wearing adequate safety equipment designed for the sport being played is essential to the prevention of concussions. Equally important in the prevention of concussions are maximum fitness and optimal health. No matter what the sport, an athlete’s body must be in peak condition physical and mental condition to prevent and recover from all types of injury. Chiropractors receive extensive education on the central nervous system of the human body. The two main components of the central nervous system are the brain and spinal cord. Keeping the central nervous system healthy are essential to all systems with in the body functioning normally and at peak levels. Chiropractors are also highly trained and experienced with identifying and treating injuries and other problems related to the central nervous system including concussions. The best part about our care is that it uses no prescription drugs or surgery. It’s safe and effective. Pittsburgh Penguins is a great example of how chiropractic care can help athletes with concussions. Crosby was plagued by chronic headaches, dizziness and sensitivity to light. The concussion ended his hockey season. Frustrated with the lack of progress he was making with the care provided by his medical professionals, Crosby tuned to a chiropractor for help. After a series of tests and corrective measures administered by his chiropractor, Crosby was relieved of his symptoms and was able to return to the ice. To learn more about Sidney Crosby’s story, please visit this link: Getting Inside the Head of Sidney Crosby. If you or someone you know suffers from a concussion or would like to take athletic performance to another level, please make an appointment by calling (724) 216-9000.